Villers-au-Tertre is a commune in the Nord department in northern France. 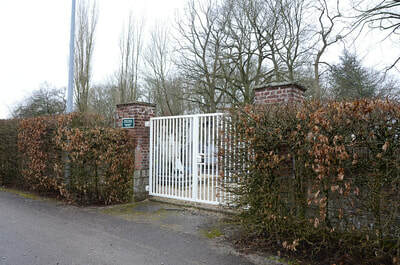 It is around 10 km south-east of Douai. 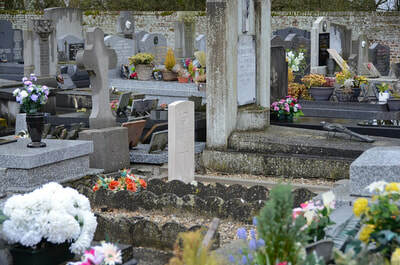 Villers-au-Tertre Communal Cemetery contains one Commonwealth burial of the First World War. The grave is located in the South-West part. Lieutenant Dennis Stacey Henry Gilbertson, 70th Squadron, Royal Air Force, died 4th September 1918, aged 21. 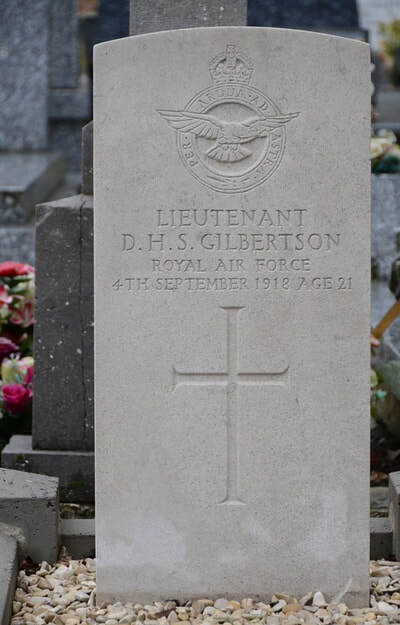 Son of Albert Stacey and Ethel Hoole Gilbertson, of 62, Shorncliffe Rd., Folkestone. Born at Hertford.